Expensya is a Web and Mobile app that automates expense reports management: 0 manual data entry, 0 paper and 100% mobile. Your employees just have to scan their receipts, and Expensya will automatically and instantly fill their expense reports using a unique OCR+ technology. More than saving time to your employees, Expensya automates every step of the process: your policy is auto-controlled, duplicates are auto-detected, approval workflows are cloud based, and Expensya integrates with your ERP. Less time spent on expense tracking, easier checks, extracts for reimbursement of employees and rebilling to customers. We found the tool easy to configure and deploy. Our end users are quite happy with automatic recognition of bills (very efficient). Online support is highly available and efficient. We use the tool on iOS, Android and web. We use the solution in three countries. We found the tool easy to configure and deploy. Our end users are quite happy with automatic recognition of bills (very efficient). Online support is highly available and efficient. We use the tool on iOS, Android and web. We use the solution in three countries. Nothing (but I would appreciate other modules, e.g for time tracking). Thank you for your feedback and motivational messages. Could you please give us more detals concerning your amelioration request about the time tracking? Please contact us on support@expensya.com. We would be more than happy to look into it in order to ameliorate our product for you. Nothing I don't like probably maturity of user experience can be improved (exemple : some time, when we scroll the screen of a expenditure, we can involuntarily modify a field. other exemple ; expenditure filters on web site could be completed, even, improved. We appreciate your efforts to suggest some amelioration requests. We will transmit them to our teams. We saved times to our users reporting their expenses thanks to the mobile apps and the scanning. We saved delays for sales administrative department in the invoicing phase to our customers, which may lead to cash issues. We are very happy with this software.Easy to use, easy to implement for an IT company with a lot of consultants in 15 countries who love the scanning function, easy to link to our backoffice app. Flexibility from Expensya's Team when implementing the solution and supporting the solution Admin Staff (Accounting & Sales) saved times doing their job of validation of expenses. Easy to use, easy to implement for an IT company with a lot of consultants in 15 countries who love the scanning function, easy to link to our backoffice app. Flexibility from Expensya's Team when implementing the solution and supporting the solution Admin Staff (Accounting & Sales) saved times doing their job of validation of expenses. Time saving, easy processing, data digitalization and process optimization.The easy and simple user experience and the time saving on a rather boring and previsous extensive handlings. The easy and simple user experience and the time saving on a rather boring and previsous extensive handlings. Thank you for your feedback and motivational comments. Concerning the analytical possibilities and reporting dimensions problem, could you please give us more details by contacting our support team on support@expensya.com? Could you please contact our support team on support@expensya.com so that they can look into your issue and try to solve it with you? Smart Scan: Take a picture of the receipt and information is automatically extracted. Accountant integration: accountants can monitor expenses and validate expense reports. Email processing: process any digital invoices received through email. Below are some frequently asked questions for Expensya. Q. What type of pricing plans does Expensya offer? Q. 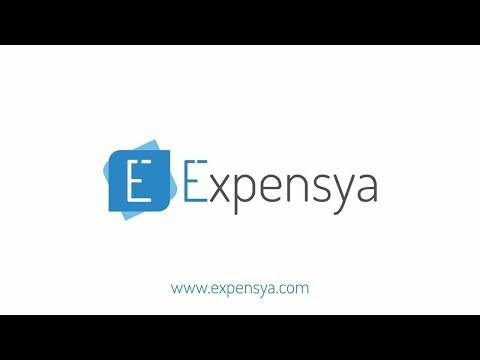 Who are the typical users of Expensya? Q. What languages does Expensya support? Q. Does Expensya support mobile devices? Q. Does Expensya offer an API? Yes, Expensya has an API available for use. Q. What other apps does Expensya integrate with? Q. What level of support does Expensya offer?